The American press wants to paint Russia as evil and they would start a world war 3 just to sell more newspapers. Not ever since the Spanish American War has the American press in general acted in the total disregard for the stability of international relations. 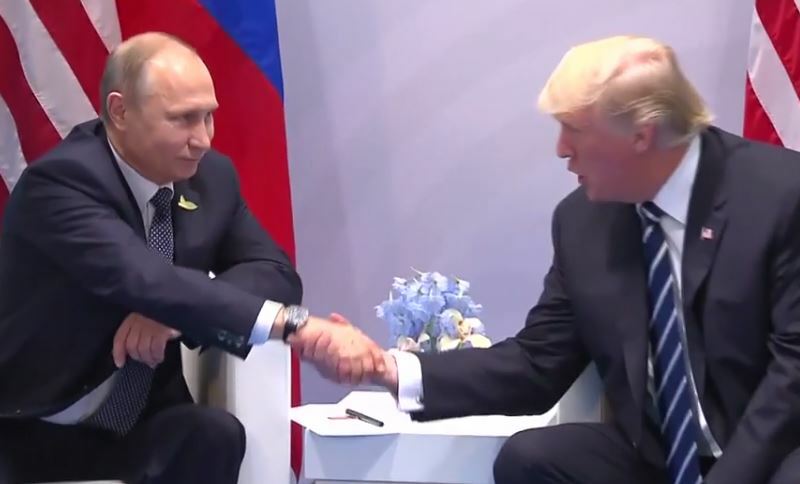 The meeting between President Vladimir V. Putin and President Trump, was hailed in some Russian press as “historic” with Mr. Putin stating that Trump asked many questions and Putin said: “When possible, I answered his questions in detail.” He also publicly said: “I got the impression that my answers satisfied him.” When he was asked if Trump believed his denials of Russian interference, Putin responded that a reporter should ask the American president. From the Russian perspective, there was much hope that the downward spiral in relations set in motion by Obama have a real chance of reversing. This is where the American press will try to paint any relaxation of tension because Trump owes Putin for taking care of Hillary. The press, particularly CNN, clearly wants war for profit. CNN knows there is no proof or it would have been leaked long ago. They keep bashing Russia only to make money, demonstrating that CNN has abandoned news as an ethical source and moved into the realm of corruption.